Do you know about the new process called KöR Whitening? It is the latest development in the dental industry, and it is rightfully creating a positive reputation. Whether battling coffee, tea, or red wine stains, it is proved as the most permanent solution of its competitors. Here’s some more information about his industry-changing product. Constant Refrigeration: When the bleaching chemicals in teeth whiteners are at room temperature or higher, the bleaching chemicals loses its potency. Teeth whitening products require continuous refrigeration, refrigerated environment, exposure to higher temperatures from the time they leave the factories till the time they arrive at the dental office depreciates the potency of products. However, this whitening system remains refrigerated from the manufacturing stage to the time it reaches Marquette Dentistry thus protecting its concentration level. KöR-Seal™ Trays: Most whitening trays are effective for approximately 25-35 minutes due to saliva containing antioxidants that destroy the hydrogen peroxide in the whitener at contact. However, KöR-Seal™ Trays are customized for each patient’s mouth precisely. Therefore, it fights against the natural antioxidants by sealing out saliva. As a result, this whitening product is effective for 6-10 hours. Comprehensive Program – The KöR Whitening process is a two-week home maintenance process that should be done overnight. Then, once the two-week process is complete, patients will start a monthly maintenance process. This teeth whitening system saturates your teeth with the deep bleaching agents which creates more permanent whitening results. 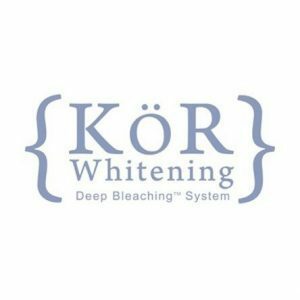 Marquette Dentistry is proud to announce that we are a Kor whitening provider. Are you ready for a whiter smile? Schedule your whitening visit today. For more information about our company and all of our services, please contact us at 832.786.4406 or visit our website here. 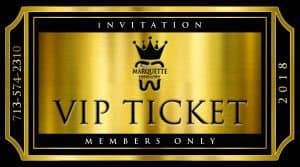 Come in and make Marquette Dentistry your KöR Whitening specialist today!! !